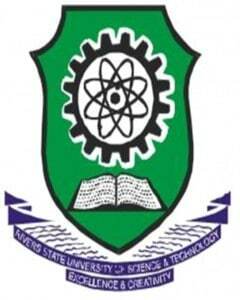 The Rivers State University of Science and Technology, RSUST orientation programme for newly admitted students for the 2018/2019 Academic Session has been announced. The Vice-Chancellor of the University, Prof. 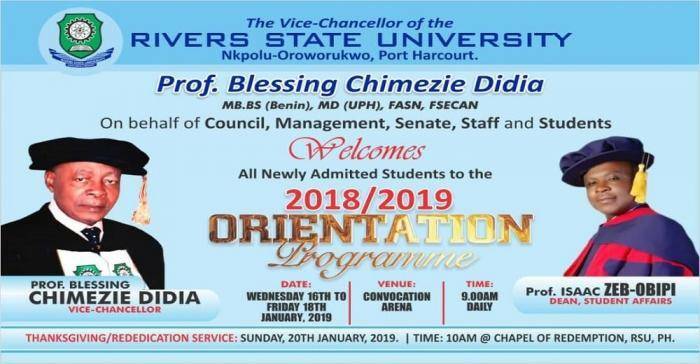 Blessing Chimezie Didia is using this medium to inform all the Staff and Students of the Institution that the RSU orientation programme for newly admitted students, 2018/2019 session has been announced. Date: Wednesday, 16th January, 2019 to Friday, 18th January, 2019. The Vice chancellor on behalf of council, management, Senate, Staff and Students welcomes all newly admitted students to the 2018/2019 Orientation programme.